Spartak Moscow football club has given a 102-year-old pensioner over $8,000 after he was robbed of a large sum of money. The veteran supporter, who lives 1,500 km from the Russian capital, became a cult figure after attending a match earlier in March. Otto Fischer was presented the money by Spartak Moscow player Vyacheslav Krotov on a television show, after the club had a whip round to try and compensate the 102-year-old. He had 730,000 rubles ($12,600) stolen from his home in Kopeisk – a town some 1,500 km away from Moscow. With Otto Konstantinovich, a really cool guy, who wished us more victory's! He says he will try to come and see our matches. At the end of March, Fischer went to open his front door after a man – who claimed to be a social worker – asked if he could come in. While going to fetch the man a glass of water, the thief made off with the cash, which Fisher had wanted to send his great-granddaughter who lives in Kiev. Upon hearing the news, the club first launched an appeal among its ranks. Aside from the money given by the players, he will also be given a percentage of the ticket sales from Spartak’s upcoming Russian Premier League match against Kuban Krasnodar on April 4. The club has also set up an account where fans or members of the public can send money to help the 102-year-old football fan. “I am very glad to get this help. I bow my head to everyone who helped me in this situation. If I get another opportunity to see another game, I certainly will with great pleasure. We have a saying: 'It is better to see something once than to hear about it one hundred times,'” Fischer said. Meanwhile, Oleg Semyonov, head of Spartak’s fan club, said the gesture was the least the club could do. “We immediately called the person looking after Otto Fischer and asked him for his bank account number. 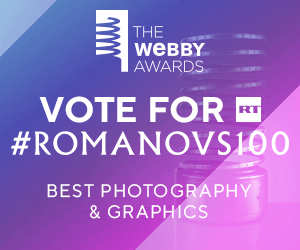 Then we published it on various football fan sites, and supporters – not just of Spartak – were invited to take part,” Semyonov said. Fisher first came to the attention of the football club after he attended a local Moscow derby between Spartak and Dynamo Moscow, which Spartak won 1-0. 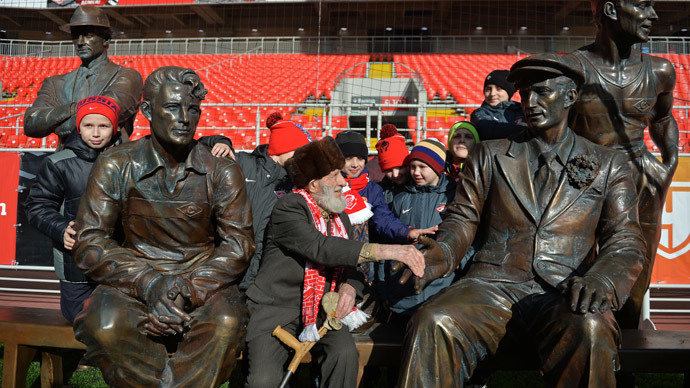 His trip was organized by Spartak’s fan club ‘The Red and Whites.’ The pensioner was a guest of honor at the game and even took part in a symbolic kick-off to get the match underway. The veteran supporter has been a Spartak fan since he was in his 20s, and said he would try to find the words to tell his neighbors about his experience of attending a match at Spartak’s new 45,000 seat arena, which will host matches at the 2018 World Cup. “Those people who have the opportunity to play here must be so happy!” Fisher told Spartak’s website.